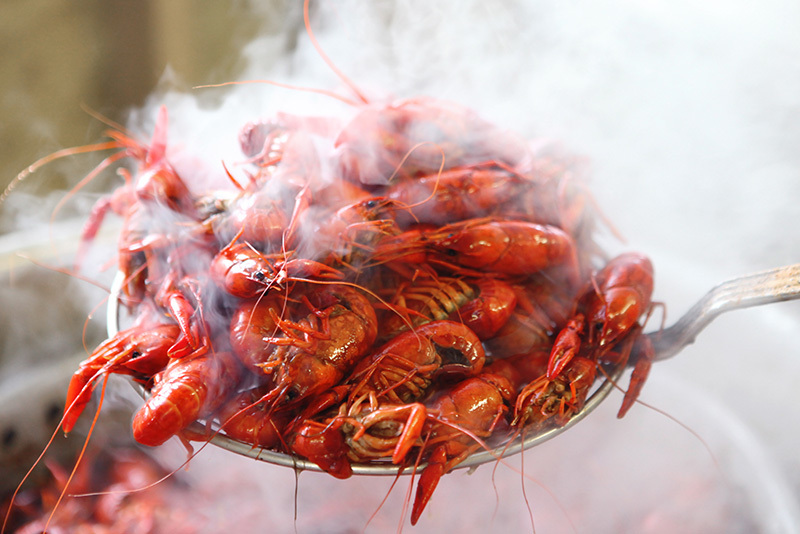 We offer live and boiled crawfish when in season. Crawfish season starts mid-to-late December. How much should I order? 3 lbs. per person is a good guideline, however it rally depends on your guests and what else you serve. Big eaters will eat 5 lbs. A Cajun will eat 7-10 lbs. Want to schedule your event at Wade’s? Wades’s Place t-shirts are now available!